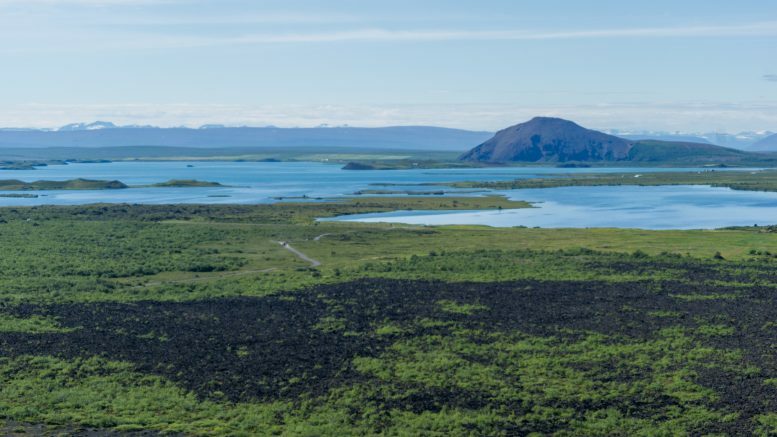 A lot has been written about hiking around lake Mývatn as there are many options for day walks in the area. 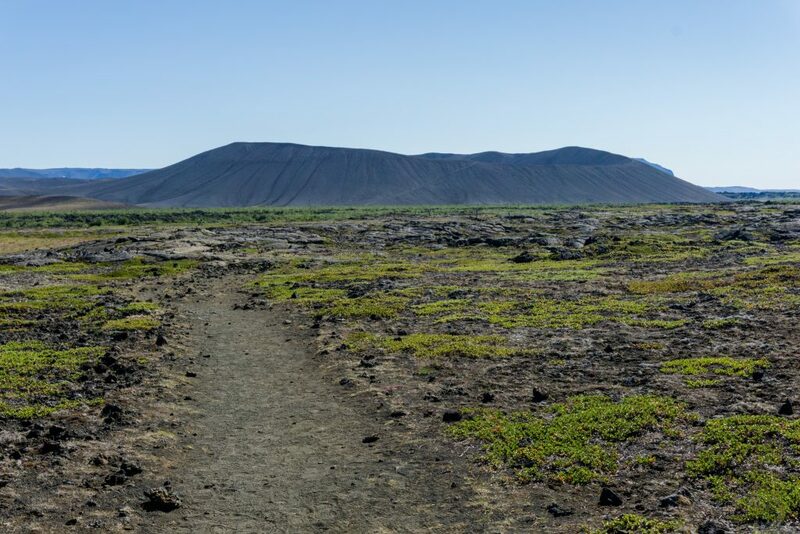 One of the longest trails you can do starts directly in Reykjahlíð and takes you through Hverfjall and Dimmuborgir – varied, but still only volcanic landscapes. 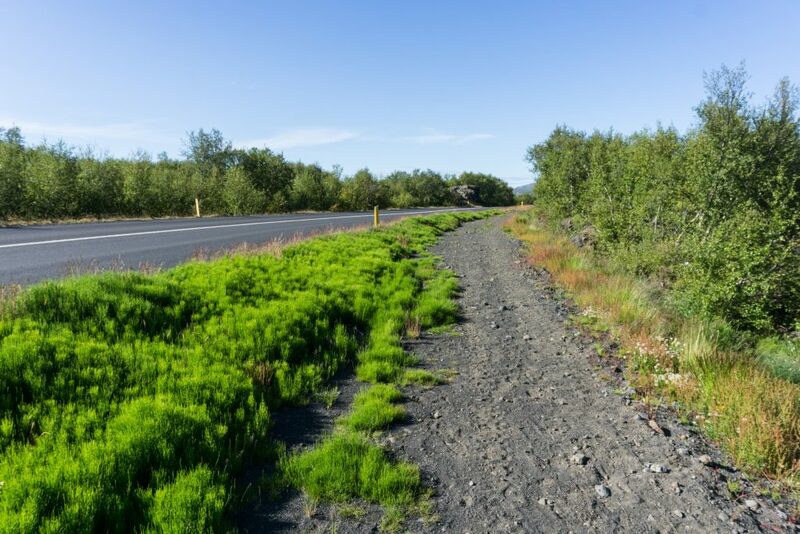 The trail starts by the Ring Road, at the eastern edge of Reykjahlíð. First it took me through a green forest full of blueberries and heather. After I crossed it, the trail became sandy and soon I ended up by the famous fissure of Grjótagjá. It used to be a popular bathing site but after a series of eruptions in the 70s and 80s, the water temperature increased from ‘oh this is nicely warm’ to ‘fire out I’m being cooked’. 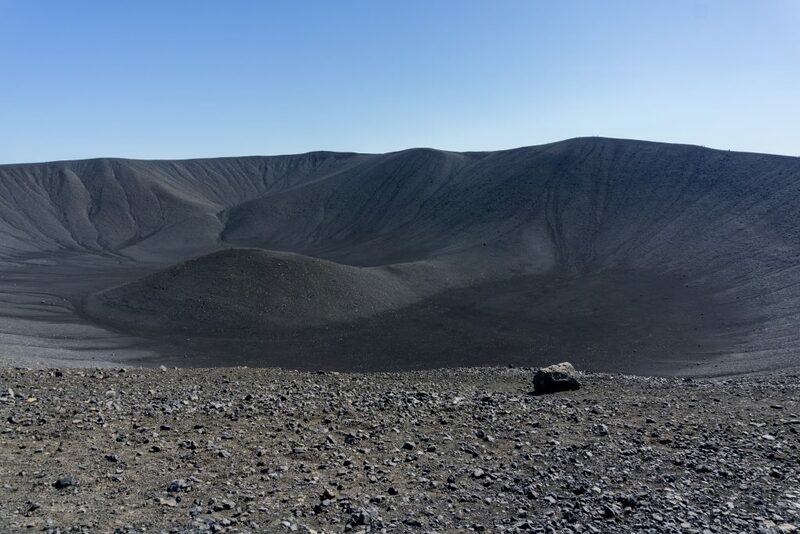 From there it was very close to the crater Hverfjall. I was really surprised by the number of tourists and carparks around. It’s not really the wilderness I was promised by the pages I’d read. 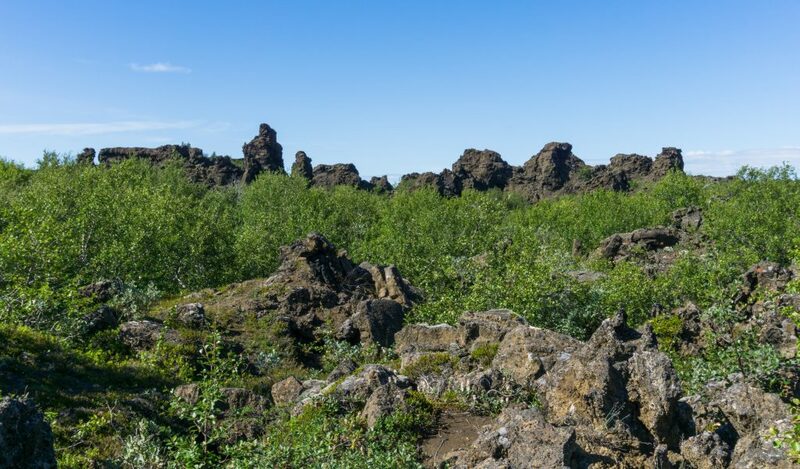 Nevertheless, I continued along the ridge and over a sharp lava field before coming to the volcanic field, Dimmuborgir. If Hverfjall was as busy as a cheap supermarket on Saturday night, Dimmuborgir was the Time Square on the New Year’s Eve. I counted over 20 buses of tourists at the carpark which scared me enough to continue along a visible rut down to Höfði by the lake Mývatn. There I found out that it’s very hard to get to the lake. The whole area was fenced and I heard that local farmers can get very passionate about tourists wandering through their paddocks, so I continued back to Reykjahlíð along the Road 848. It wasn’t ideal but the trail along the road was sometimes quite cute and enjoyable. From my hike I learnt one essential thing: there is hiking and Hiking. For some people, hiking means to drive to a car park, walk a few hundred metres to the edge of a volcano, take a selfie a go back. For others, Hiking means to make a decent distance and no matter the beauty of the landscape, no selfies are allowed. I think I’ll write a separate article about it one day. Lake Mývatn is really beautiful but if you came to Iceland to Hike, you can avoid it with a serene heart. Be the first to comment on "Hiking around Lake Mývatn: Reykjahlíð – Hverfjall – Dimmuborgir and back"